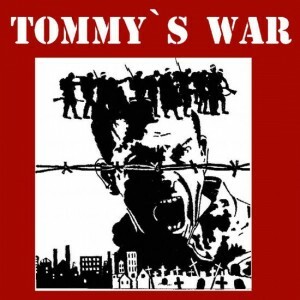 The stage musical Tommy’s War was first performed at Branston Community College in Lincolnshire from February 9th 2004 to February 13th 2004 to sell out audiences. The cast of forty, comprised entirely of students from the college as did the twenty strong orchestra. The musical, received very good reviews in both the local press and from those who attended, two of which are included here. My congratulations both to yourself and the cast for an excellent performance and superb music. Clearly a great deal of hard work went into the musical. It was wonderful to see it come to a successful fruition. It deserves showing well beyond Branston. The Chairman and Lady, Councillors were delighted to have been able to attend the Gala Evening of the musical Tommy’s War, which I understand you were completely responsible for. Congratulations on an excellent production. Members of Lincolnshire County Council certainly admire your talents. The libretto and all the song lyrics and music were written by Les Brown, who also designed the stage set and costumes. The musical arrangement for the orchestra was done by Ben Parker, who also conducted the orchestra during its first run at Branston Community College. The idea for the musical was conceived in 2003, but some of the songs in the show were written previously and appear on the CD “WINDS OF CHANGE”, recorded in 2002, which is also available on line or by contacting the e-mail address. The story starts in 1914 in a small Lancashire cotton town. Tommy Shawcross, like everyone else in the town, works at Telford’s cotton mill. He is in love with Jenny Shuttleworth, but life is very hard and the future looks bleak. When war breaks out, Tommy enlists believing the propaganda that it will be “over by Christmas” and a “home fit for heroes” will greet them on their return. The war lasts four years and Tommy sees many of his friends killed. When the soldiers return home, there are street parties and Tommy and Jenny get married. There is much optimism and everyone looks forward to a better future. It is 1939 and the cotton industry is in serious decline. Tommy, bitter after his war experiences and the broken promises of a better life organises a strike at the mill and clashes with Henry Telford the mill owner. There is a scuffle and Tommy is arrested. Sam, tommy’s son goes to the aid of Henry Telford and is also attacked by the workers. Victoria, Henry’s daughter, helps Sam and they agree to see each other again. A romance develops between them and they decide to tell their parents who are against it. James, Victoria’s brother is an army officer and when he sees her with Sam, with the aid of two other soldiers he beats Sam up. The second world war starts and Sam joins up. During a battle in Germany Sam saves James life and when Henry Telford finds out, he seeks out Tommy, who has left Jenny and is living in a hostel. There is a reconciliation between Jenny and Tommy AND Henry and they give their children permission to marry, which they do at the close of the story. Copies of the libretto and musical score as well as a video recording of the original production and CD of the cast recording of the show can be obtained via this web-site or e-mail. All performance rights and original concept belong to Les Brown, copyright browndog music 2004.